If you're on a mission to get your pearly whites back - but can't quite afford the extortionate bill your dentist has quoted - you may have to think outside of the box. We've teamed up with celebrity dentist Dr. Richard Marques to reveal the natural remedies, from ingredients you probably already have in your kitchen, that can help you get white teeth overnight. 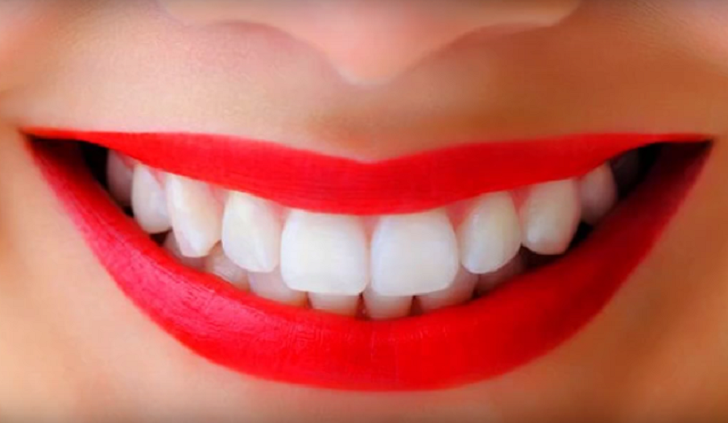 Dr. Richard Marques told Mirror Money: "These great natural whitening methods can be just as good as some expensive teeth whitening kits sold in pharmacies and chemists and are far better for your teeth. "Another great money-saving tip for your teeth is to make your own natural mouthwashes. Hot water with a teaspoon of salt can be used as a great natural mouthwash for teeth and gums. "For coconut oil mouthwash try heating a small amount of natural coconut oil in the microwave then diluting it with a few teaspoons of water and rinsing for about two minutes. Great homemade remedies for a fraction of the price." Baking soda is a natural teeth whitener and included in many kinds of toothpaste, such as the Arm & Hammer brands. Try mixing a quarter teaspoon of baking soda with water and applying this to the teeth with your toothbrush. Alternatively, add the baking soda to a cheap toothpaste. It will not damage your teeth in any way but will make them look gradually whiter over time. Due to the Malic acid, which is a natural cleanser, these summertime treats can naturally whiten your teeth. Salt water helps both whiten your teeth naturally and looks after your gums (as it is a natural antibiotic). Mix a teaspoon of salt in a cup of warm kettle-boiled water and use it as a mouthwash. The whiter the foods you eat the whiter your teeth will be. Eat chicken, rice, and fish. Avoid pigmented foods such as beetroot, blueberries, carrots and Chinese/Indian takeaways (which have lots of turmeric and food colorings in them). Apples are one of the natural teeth cleansing fruits as they contain Malic acid - a natural cleanser. You can also drink lemonade or tonic water, and remember, white wine is better than red wine (for teeth at least). Calcium in milk also helps strengthen tooth enamel and structure as well as the jawbone. Water is a natural cleanser washing away plaque. Cheese is another great naturally cleansing food that can strengthen the teeth. Cheese contains calcium and also has a cleansing surface structure, especially hard cheese like cheddar. Use a tablespoon of coconut oil and swirl in the mouth for as long as you can. The longer the better, try to hold on for around 15 minutes. This practice can help remove bacteria and helps prevent plaque and stains from sticking to teeth by lubricating them.